As he looks to rebound from a bad 2016 season, Brandon Marshall is building rapport with his new quarterback. 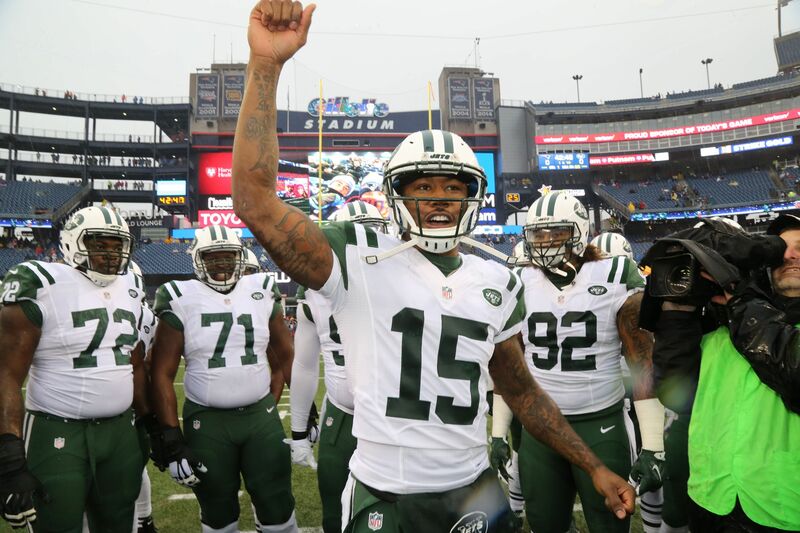 Last season was not good for anyone associated with the New York Jets and wide receiver Brandon Marshall was no different. He had just 59 catches for 788 yards and three touchdowns in 15 games, so Marshall was an easy cut as the Jets let go of multiple veterans this offseason. But Marshall landed quickly with the New York Giants, with quarterback Eli Manning comparing the signing to when Plaxico Burress was brought in. Marshall’s veteran presence should help on and off the field, as Odell Beckham tries to avoid off-field distractions and Sterling Shepard tries to take the next step in his second NFL season. Marshall has been praised by the Giants for his work ethic and professionalism during offseason work. During a recent appearance on ESPN Radio, Marshall also defended his new quarterback. Marshall apparently wants to pick Manning’s brain, as he continues to learn the Giants’ offense. So he’s putting the down time before training camp to good use.